Why is SikhNet not taking a proactive role in supporting Gurbaksh Singh to fight Badal & get Sikh political prisoners released in Punjab? 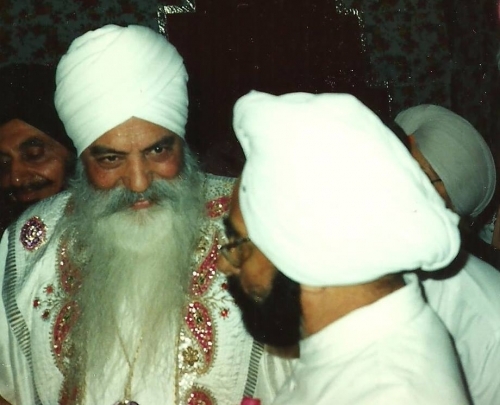 Yogi Bhajan supported Indira Gandhi & now his SikhNet hippy chelas refuse to take a proactive role in supporting Gurbaksh Singh to fight Badal & get Sikh political prisoners released in Punjab! Write SikhNet and tell them to get involved to help their Sikh brothers and Sisters, it's not too late! 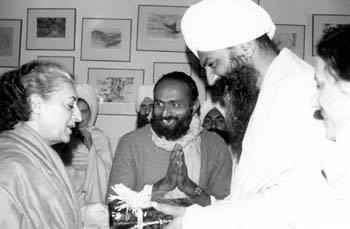 Yogi Bhajan with Indira Gandhi's henchman President Giani Zail Singh. This post on Sikhsangat.com says http://www.sikhsangat.com/index.php?/topic/73480-good-on-gursant-singh-for-standing-up-for-sikh-political-prisoners-in-punjab/#entry600200 : "If we look at some other white converts to Sikhism like Mr SikhNet.... he and their hippy happy clappy group tends to avoid trying to get involved in political and freedom movements concerning their Sikh brothers and sisters aboard.....which is a real big shame and a big stain on their pro-Sikh credentials....as a Sikh should always be involved in spirituality aswell as temporal politics that affects the freedom and lives of their fellow adherents." Gurumustuk ( MrSikhNet ) is clearly seen in the 3HO "Winter Solstice Sadhana 2013" video at 3:44 participating in Yogi Bhajan tantric yoga in Florida while brave Sikhs like Gurbaksh Singh are sacrificing their lives for Sikhi! Sikhs really need to watch this shocking video showing where Gurumustuk & the rest of the SikhNet staff are right now worshiping this weird anti- Sikh tantric Yogi Bhajan yoga! Shamefully SikhNet has put Sikhs "On hold" to travel to their Yogi Bhajan Winter Solstice Sadhana 2013 where the SikhNet staff is right now instead of helping Gurbaksh Singh and other brave Sikhs. Is this where your SikhNet donations go for? Shame on SikhNet for putting Sikhs "On Hold"! 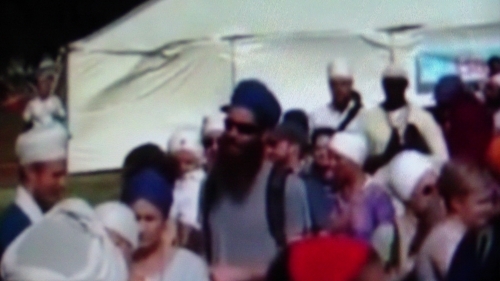 SikhNet says "our staff is traveling and we'll see you next week" Where are they traveling to? SikhNet hides the fact that these Yogi Bhajan followers at SikhNet are traveling to a tantric yoga winter solstice festival in Florida where they practice & worship anti Sikh tantric yoga as taught by their guru, Yogi Bhajan! Don't let SikhNet fool you! Gurbaksh Singh and other brave Sikhs are not putting their fight against the Indian government on hold so why should Sikhs donate to SikhNet in order that they can go to some anti-Sikh tantric yoga in "sunny Florida"? This post on Sikhsangat.com says http://www.sikhsangat.com/index.php?%2Ftopic%2F73480-good-on-gursant-singh-for-standing-up-for-sikh-political-prisoners-in-punjab%2F#entry600200 : "If we look at some other white converts to Sikhism like Mr SikhNet.... he and their hippy happy clappy group tends to avoid trying to get involved in political and freedom movements concerning their Sikh brothers and sisters aboard.....which is a real big shame and a big stain on their pro-Sikh credentials....as a Sikh should always be involved in spirituality aswell as temporal politics that affects the freedom and lives of their fellow adherents." My talk with CM Badal at 5 AM this morning (or more likely his sleepy drunk assistant) about releasing Sikh political prisoners in Punjab. Gurbaksh Singh's Kaum's Heera...We need him Alive! Please ACT NOW! Contact Badal and Tell him that he can no longer neglect Bhai Sahib! Tell them that YOU CARE! call CM Badal at: 011-911-722741758.